Well, of all the things involved with starting this business, maintaining the blog hasn’t been at the top of my list. I’ve been making costumes, purchasing life-cycle models and 3D puzzles, maintaining my critters, printing business cards and flyers and about a million other things…only to re-discover today that my beautiful website has a blog link that is sadly out of date! Time to remedy that right now. Most recently I’ve been inquiring about the possibility of of visiting day camps this summer. The response has been overwhelmingly positive and I’m looking forward to expanding Lady Buggy’s reach from strictly school environments to more recreational settings so people can see that bugs are fun and learning is everywhere! We need to keep getting the word out so we can continue to grow. 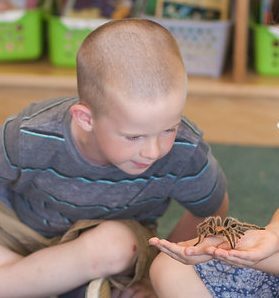 Thanks for reading and I’ll keep you posted as I continue bringing big bugs to kids in Calgary! ← Two months to go!